Powered by 1 GHz Dual Core Processor, LifeDaps (3 in 1) Calling Tablet with Keyboard works seamlessly as a mobile, tablet and laptop. It runs on Kit Kat 4.4.2 Android version providing superior performance with smoothest user interface experience. It has stunning 17.78cm touchscreen display, for sharp viewing experience, and intense brightness for easy viewing even under the brightest light conditions. It houses 4GB internal memory that can be further expandable upto 32GB, ample space to store all your precious moments forever. USB Port Meaning: USB (Universal Serial Bus) is one of the newer all purpose technologies, which, is a ''plug-and-play'' interface between a computer and add-on devices (such as audio players, joysticks, keyboards, scanners, digital cameras, camcorders and printers). The USB peripheral bus standard was developed by Compaq, IBM, DEC, Intel, Microsoft, NEC and Northern Telecom and the technology is available without charge for all computer and device vendors. Finding a tablet for personal or official ue can be a tedious task as there are various options available today. 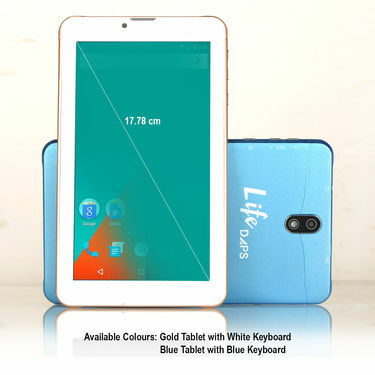 To pick the best and that too without compromising on features and price, we reviewed LifeDaps (3 in 1) Calling Tablet with Keyboard. Take a quick look on the phone that will help you pick the best. Storage Capacity: The phone houses 4GB of inbuilt memory which is expandable via microSD card up to 32GB. Enough space to treasure your photos, videos, movies and all multi-media files. Display: Datawind Calling Tablet sports a 17.78 cm TFT Capacitive touch screen having a resolution of 600 x 976 pixels providing a clearer and beautiful viewing experience. Design: The sleek and compact design of the tablet is handy enough to enjoy movies, play games, and so on. 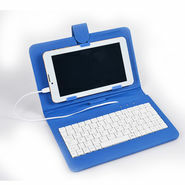 Connectivity Option: This sleek device comes with Micro USB port, Bluetooth which helps a seamless exchange of data between your computer and tablet. 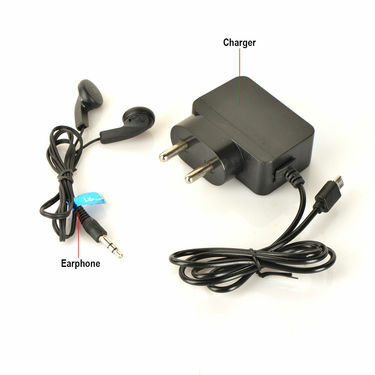 It also has 3.5 mm audio jack that offers amazing sound quality and comfort. 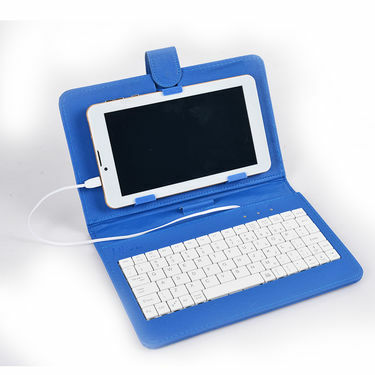 Battery: The tablet comes with a Li-ion 2100 mAh, 3.7V DC a very good backup with 5 hours of talktime & standby time of 24 hours. Additional Features: The tablet supports Social Networking apps to keep you connected with the world. Moreover, the G-sensor in the device enhances your overall gaming experience by adapting the perfect screen position. 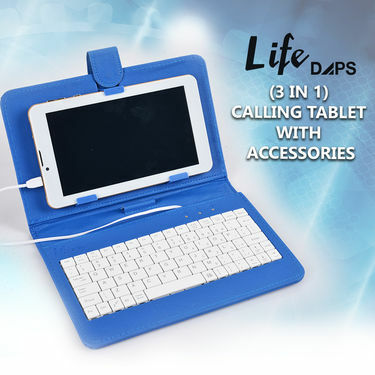 Reviewer: We found LifeDaps (3 in 1) Calling Tablet with Keyboard to be quite impressive as it works seamlessly as a mobile, tablet and laptop and has a great in-hand feel too. Definitely, value for money due to the presence of superior features and that too at an affordable price. Delivery was on time.. the product is exactly the same as I saw on TV. Does it support You Tube? Does this phone supports 4G? 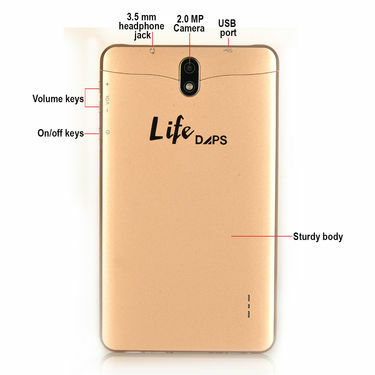 LifeDaps (3 in 1) Calling Tablet ..VSLifeDAPS (3 in 1) Calling Tablet .. LifeDaps (3 in 1) Calling Tablet .. VS LifeDAPS (3 in 1) Calling Tablet ..
LifeDaps (3 in 1) Calling Tablet ..VSI Kall Calling Tablet with Keyboa.. LifeDaps (3 in 1) Calling Tablet .. VS I Kall Calling Tablet with Keyboa..
LifeDaps (3 in 1) Calling Tablet ..VSLifePLUS 4G Calling Tablet with K.. LifeDaps (3 in 1) Calling Tablet .. VS LifePLUS 4G Calling Tablet with K..
LifeDaps (3 in 1) Calling Tablet ..VSLifePlus Big Screen 4G Calling Ta.. LifeDaps (3 in 1) Calling Tablet .. VS LifePlus Big Screen 4G Calling Ta..
LifeDaps (3 in 1) Calling Tablet ..VSI Kall 3G Calling Tablet with Sta.. LifeDaps (3 in 1) Calling Tablet .. VS I Kall 3G Calling Tablet with Sta..